Flowers have been part of many different facets of human existence from art, architecture to social events. Much of the architecture of the Arab world heavily features, alongside geometrical design, floral motifs known as the arabesque. Weddings, war, funerals – significant life events – often involve floral exchanges and tributes. This floral presence in people’s lives has made its way into governance. Countries around the world have assigned or chosen certain flowers as their national flowers. 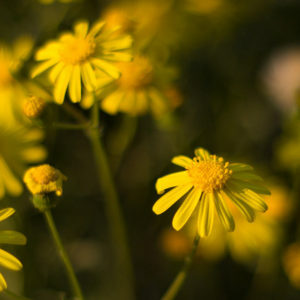 Most Arab countries – with the exception of Saudi Arabia, Djibouti, Morocco, Oman, Mauritania and Bahrain – have a national flower chosen in line with their country’s values. Algeria has chosen the ornamental Iris as its national flower. The iris can be found growing in 200 different colours and its name has fittingly been adopted from the Greek word for rainbow. There is no specific reason for Algeria’s choice of national flower except that the iris was originally found, grown and cultivated there. 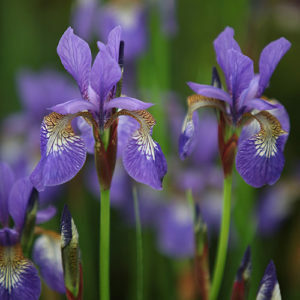 The purple iris represents royalty, whereas the yellow is a symbol for passion. The iconic Chanel No5 owes its heavy, fruity fragrance to the ylang-ylang, whose name in Tagalog means ‘the flower of flowers’. 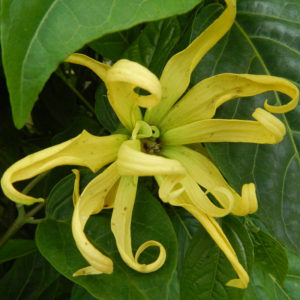 Comoros has chosen the ylang-ylang as its national flower owing to the large economic contribution the flower makes to its industry. The country manufactures roughly 30 to 40 tonnes of ylang-ylang essential oil every year, but the production has largely been unsustainable and caused great damage to the environment. Chanel has been encouraging locals to plant and grow more of this precious flower to meet the growing demands. 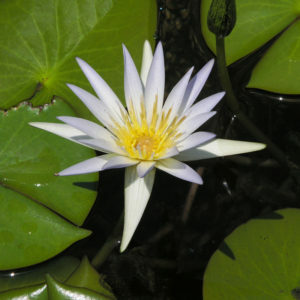 The Gift of the Nile has chosen the magnificent lotus, also called a water lily. Found in Egyptian art and architecture, the lotus represents the sun, a tribute to the Egyptian sun god, Ra. Lotuses open in the morning and close at night, symbolizing rebirth. Ancient Egyptians believe the lotus has a divine origin – many paintings depict gods or goddesses holding the flower. 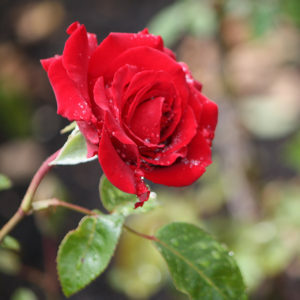 Widely accepted as a symbol of love and used in countless fragrances, Iraq’s native red rose has been given the title. The flower originally came from Iran and made its way to Iraq where rose farming was quite common there in ancient times. The rose eventually made its way to the west thanks to the exploits of Alexander the Great. 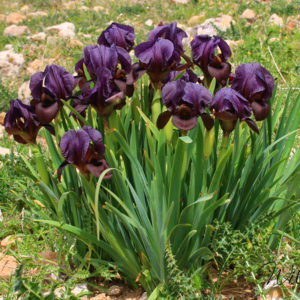 The highly endangered black iris is the national flower of Jordan. The flower has been lucky in that it hasn’t been commercialized in any way – but this has meant flower enthusiasts flock to Jordan to collect this precious flower and have generally destroyed its natural environment. Free of thorns and full of a bright orange hue, the Arfaj has been chosen as Kuwait’s national flower. 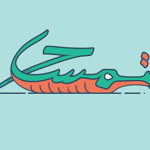 Although scarcely found in other countries, it covers 30% of Kuwait’s land area. The flower has been chosen because of its uniqueness to the country, its economic contribution and its place in Kuwaiti culture and history. The pomegranate blossom, as a wild shrub, is known to only grow in Central Northern Africa. It has a large bloom, vibrant red petals which are known to attract honeybees. 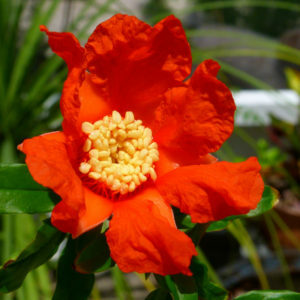 Given the fact that this particular type of Pomegranate Blossom only grows in Central Northern Africa, it’s most likely the reason why it has been chosen as the national flower of Libya. Revered for its medicinal and aesthetic value, the poppy has become the national flower of Palestine. Widely grown in the region, this edible flower is also used as a mild sedative. 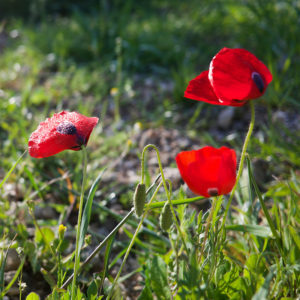 Despite its beauty, the red of the poppy is a painful reminder of the Gazan bloodshed. The limonium boasts 120 different species. 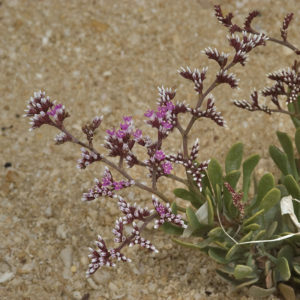 This popular purple flower has recently been discovered in Qatar and has been chosen for its wide cultural and aesthetic use in Qatari customs. 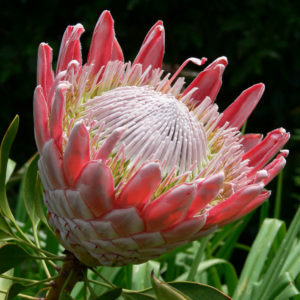 Symbolizing change and transformation, the King Protea has been chosen as the national flower of Somalia. Despite being quite a large flower – about 12” across – 120 of its 370 species are listed as endangered. Its leaves are popularly used in tea. Both countries have chosen the jasmine, Syria unofficially but by popular vote. Yet another winner with fragrance companies, the jasmine was originally grown and cultivated in Andalucia but found its way to Arab lands. 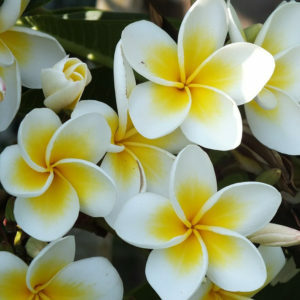 The jasmine is used for its calming, antidepressant and aphrodisiac properties. Damascus has been nicknamed the City of Jasmine because of the flower’s prominence. Interestingly in Tunisian culture, a man wearing a jasmine on his left ear indicates that the man is single. 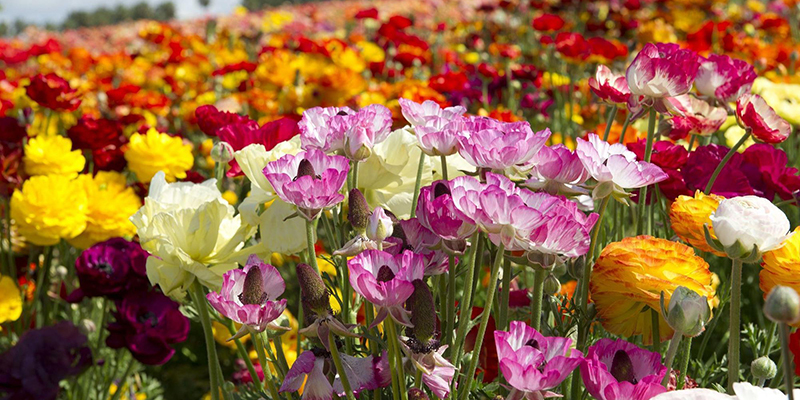 Despite its land area largely being a desert, the UAE grows some impressive varieties of flowers. One of these is the tribulus omanense. 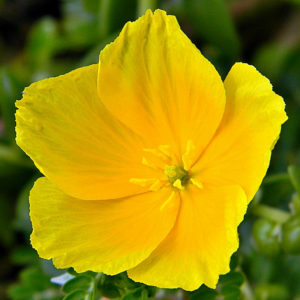 Unlike other flowers, the tribulus can only be found in yellow. Yellow represents friendship, and the singular colour choice represents equality and brotherhood. Another reason for this choice is the wide availability of the flower in the country. 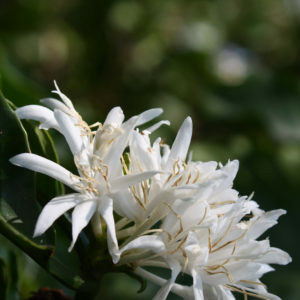 Coffee Arabica blossoms – flowers from the trees of our favourite beverage – are Yemen’s national flowers. They have been chosen simply for the economic value coffee brings to the country’s economy. 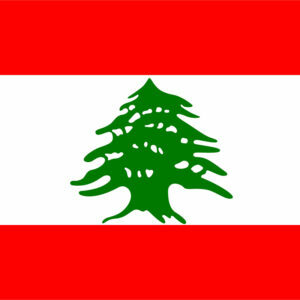 Although Lebanon does not have a national flower, the cedar tree features on its national flag. The simple reason for this is the presence of the trees in the mountains of Lebanon. 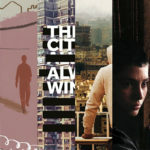 Its longevity is a tribute to its biblical origins. 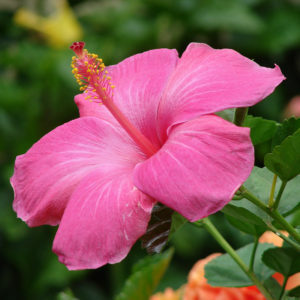 Sudan does not have a national flower either, but the hibiscus is very popular across the country, especially in tea.